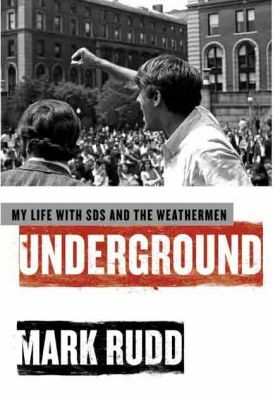 Underground: My Life with SDS and the WeathermenBy Mark RuddHarper Collins, 2009 Those who have characterized Mark Rudd’s memoir, Underground, as unapologetic must not have read it. The book passionately reflects on the 1960s and 1970s, a time when a new world order seemed not only possible, but likely.Rudd begins this well-written, almost-confessional book with an account of entering college in the fall of 1965. He admits that Columbia University was a dream come true, since it was such a radical departure from his middle- class, suburban upbringing in New Jersey. At Columbia, he was encouraged to read revolutionary theorists, such as Malcolm X, and was deeply affected by David Gilbert, the chair of the university’s Independent Committee on Vietnam, who openly declared his opposition to the war and suggested that antiwar activists adhere to their beliefs instead of behaving like “good Germans.” As a Jew reared in the shadow of the Holocaust, Rudd found Gilbert’s words potent and quickly became immersed in campus activism, soon joining Students for a Democratic Society (SDS).The discovery of Columbia’s connection to the Institute for Defense Analyses, a think tank affiliated with the Pentagon, in early 1967 led SDS members to intensify their anti-war efforts. Combined with pre-existing university plans to raze several buildings in largely Black Harlem for the construction of a gymnasium in Morningside Park, the predominantly progressive student body felt pushed to the brink.Due to an administration crackdown, students decided to occupy five buildings on the Columbia campus in April 1968. African-American students and Harlem residents entered Hamilton Hall and refused to leave. White students took over Low Library and other surrounding buildings and penned demands. Rudd’s excitement over the week-long sitin is palpable, and readers who have ever immersed themselves in organizing will feel the contagion.Rudd writes with vivid fury about the police violence that ended the occupation and rails against a mainstream media that portrayed the protesters as “lunatic, destructive kids.”He is also conscious, albeit in hindsight, of the media’s fixation on him as the archetypical leader — the charismatic white man ostensibly in charge. At the time, however, Rudd savored the attention and admits to rampant womanizing. 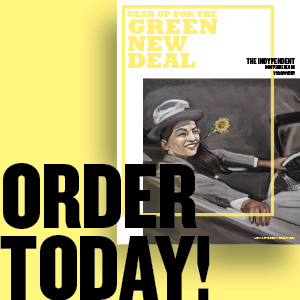 After being expelled from Columbia in spring of 1968, he became a “traveling salesman for SDS” speaking throughout the country to ramp up opposition to the war. However, as SDS grew, factions emerged which ultimately destroyed the largest student mobilization in U.S. history.While Rudd helped found the most radical portion in SDS, the Weathermen, in 1969, he had early concerns about the group’s dogmatism. “I did not realize at the time that we had unwittingly reproduced conditions that all hermetically sealed cults use: isolation, sleep deprivation, arbitrary acts of loyalty, even sexual initiation as bonding,” he writes.Rudd buried these worries as the Weathermen became the Weather Underground, which ultimately carried out 24 property-destroying bombings across the United States. He writes that he accepted the idea — now recognized as delusional — that “we had begun the war against the pigs” and describes a mood that is difficult to fathom in 2009. In retrospect he calls it “a fantasy of revolutionary urban-guerrilla warfare.”This fantasy ground to a halt when a 1970 plan to bomb New Jersey’s Fort Dix went awry, killing three of Rudd’s comrades and destroying the Greenwich Village townhouse the would-be bomb makers were using. Rudd, his girlfriend Sue LeGrand, and other Weatherpeople quickly fled underground. 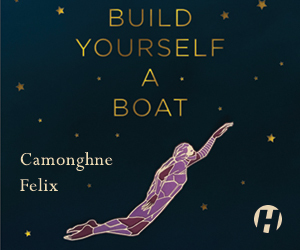 Moving between safe houses sent Rudd into a near-suicidal depression, and his graphic description of severing ties with everything and everybody garners sympathy.Nonetheless, he and LeGrand cobbled together a sub rosa life. Their first child was born in 1974, and they had a second child after he surrendered in 1978. The decision to resurface came after seven-and-a-half years on the lam; Rudd could no longer stand living with constant anxiety.Rudd eventually paid a fine and settled in New Mexico. When his relationship with LeGrand ended, he finished his degree and spent more than two decades teaching mathematics at a community college in Albuquerque, N.M. He has continued his work as a non-violent activist and organizer through his involvement with Native American land rights and antiwar and anti-militarization efforts.Underground’s poignancy is underscored by Rudd’s conclusion: “The Weather Underground didn’t seem to affect anybody at all. We were not part of most people’s universe, even of those who were still working in what remained of the movement.” This sobering and heartfelt statement, bolstered by his across-the-board denunciation of violence, clearly speaks to 21st century activists who are eager for rapid change.